Every wedding is special and unique because of the couple being married and the family and friends who gather to bear witness to their marriage. But every so often, a wedding comes along that shines with the personality and love of the couple and all of the elements fall into place to make their wedding truly phenomenal. 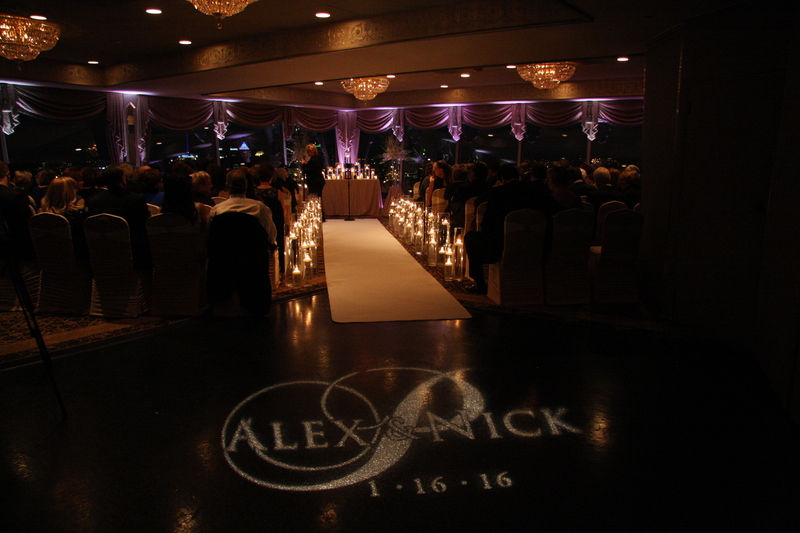 Alex and Nick’s candlelight winter wedding at The LeMont on Mount Washington was just such a magical moment. Alex and her mother, Debra, had planned down to the very smallest detail to make this wedding perfectly memorable and wonderfully intimate for their guests. 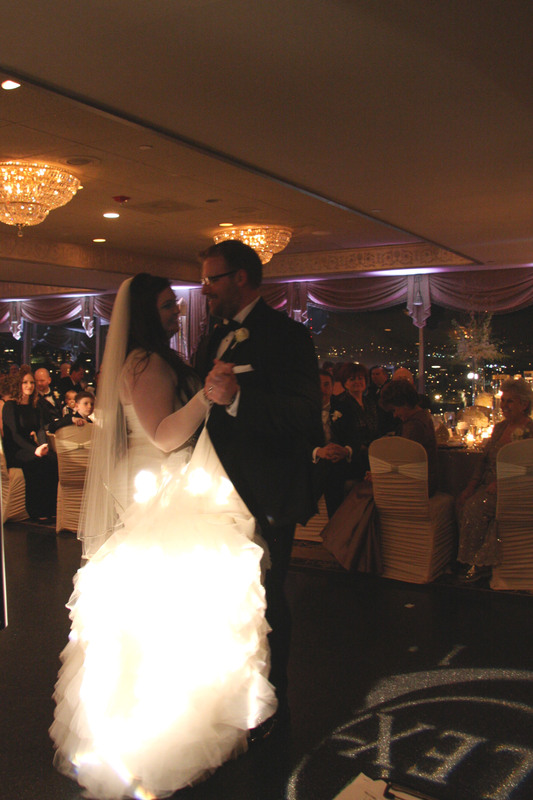 On the wedding evening, the lower ballroom of The LeMont on Mount Washington glowed with candlelight from the arrangements flanking the aisle and the altar, behind which the Pittsburgh skyline glowing brightly made a twinkling nighttime backdrop for Alex and Nick’s vows. 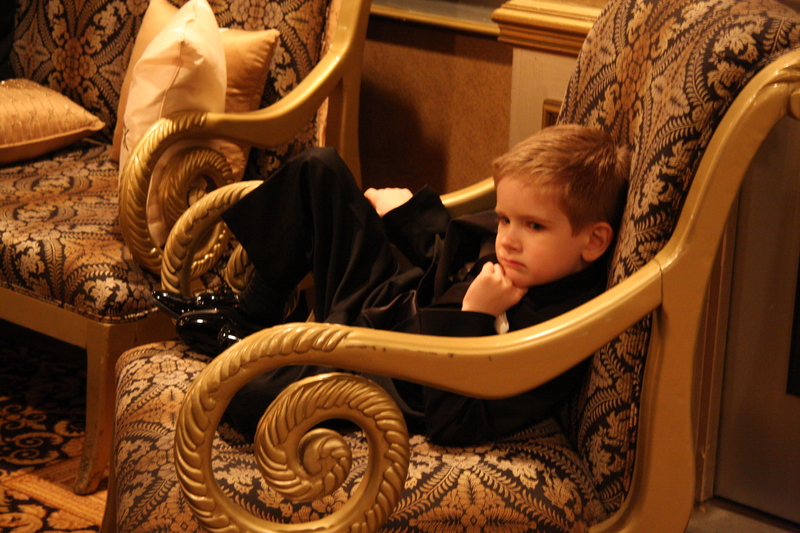 The focus on family was evident throughout the ceremony. Alex and Nick exuded excitement and love for the family they were building with Nick’s young daughter, Bella. 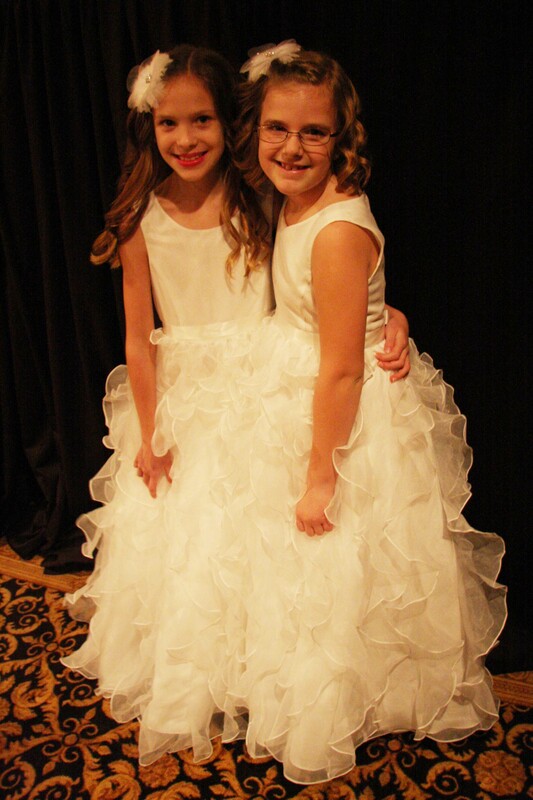 Their wedding party included several adorable children as ring bearers and flower girls, including Nick’s nephews and Bella. 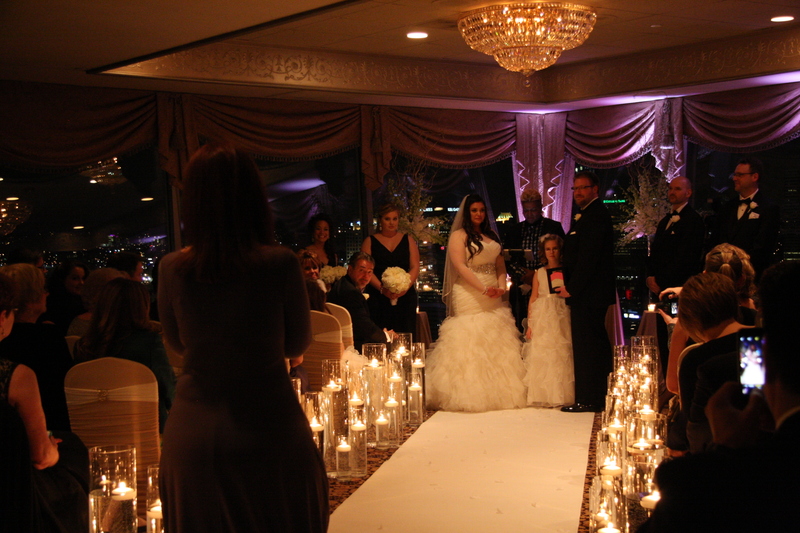 A beaming Alex and her father Ryan processed down the blazing candlelight aisle to “Nella Fantasia” by Sarah Brightman. Before exchanging vows, the couple shared a special moment with Bella by participating in a sand pouring ceremony, with Nick, Alex, and Bella each taking a turn to pour colored sand symbolizing each of them joining together as an inseparable family. As a special tribute to Alex, her aunt Janet serenaded the happy family with “All I Ask of You” during the sand pouring. The touching serenade of “All I Ask Of You” during the Sand Pouring Ceremony. 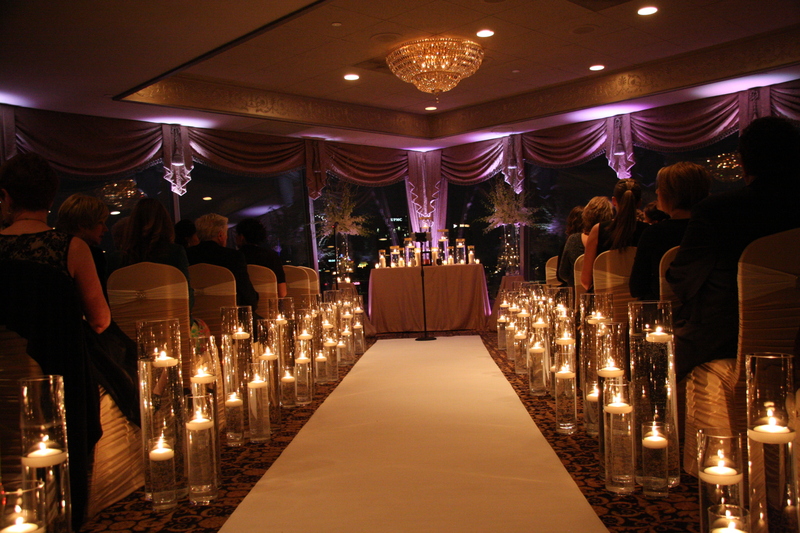 The glittering, candlelit winter skyline reception. 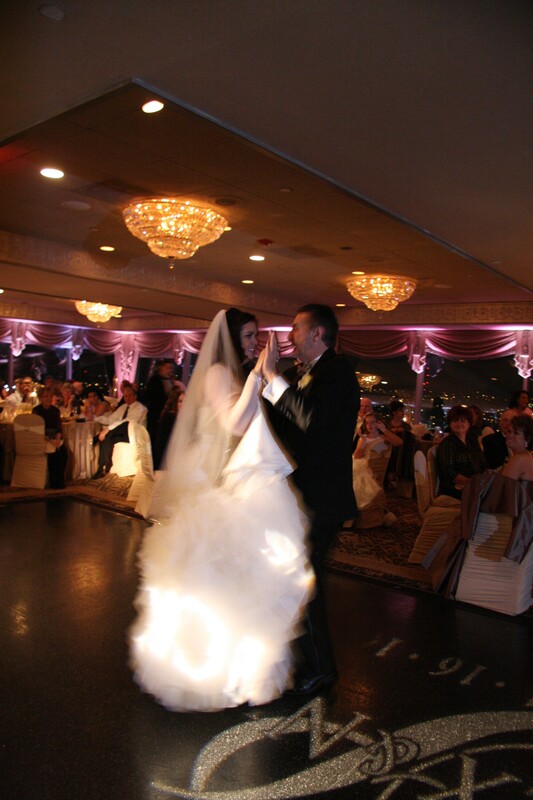 Alex and Nick’s First Dance – full of grace and elegance. Washed in glowing candlelight and surrounded by family, friends, and sparkling crystals, Alex and Nick danced a choreographed box-step for their their first dance as a married couple to Ed Sheeran’s “Thinking Out Loud”. It was truly a magical moment. 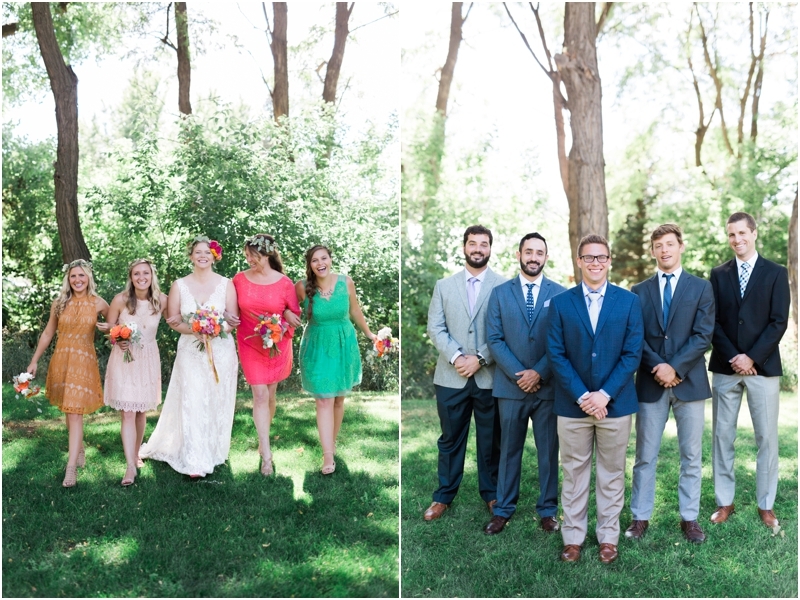 Breaking tradition, they invited their guests to join them on the dance floor immediately after the first dance. 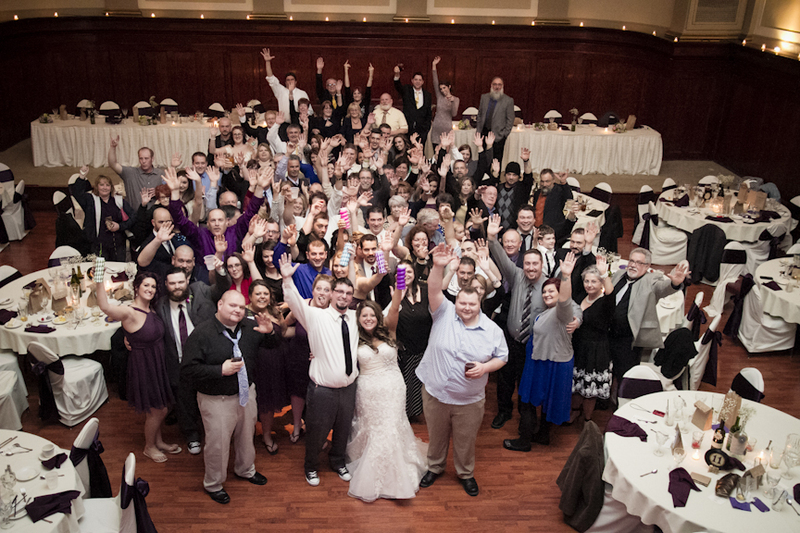 The ballroom turned into an enthusiastic dance party with all the guests crowding onto the dance floor. Alex, Nick, and Bella danced as a family to Journey’s “Don’t Stop Believing” as well as a few other songs before everyone was invited to sit for dinner. High energy on the dance floor! The rest of the evening was equally enchanting, and all about family traditions. Alex and her father, Ryan, shared a beautiful moment, beginning the Father & Daughter dance to Heartland’s “I Loved Her First”. Suddenly, the sentimental strains transitioned to a cheery, upbeat German polka, and Alex and Ryan grinned from ear to ear and started to bob up-and-down in the beginning of a traditional German polka. To the applause of the guests, they chasséd across the floor while everyone cheered and tapped their toes. 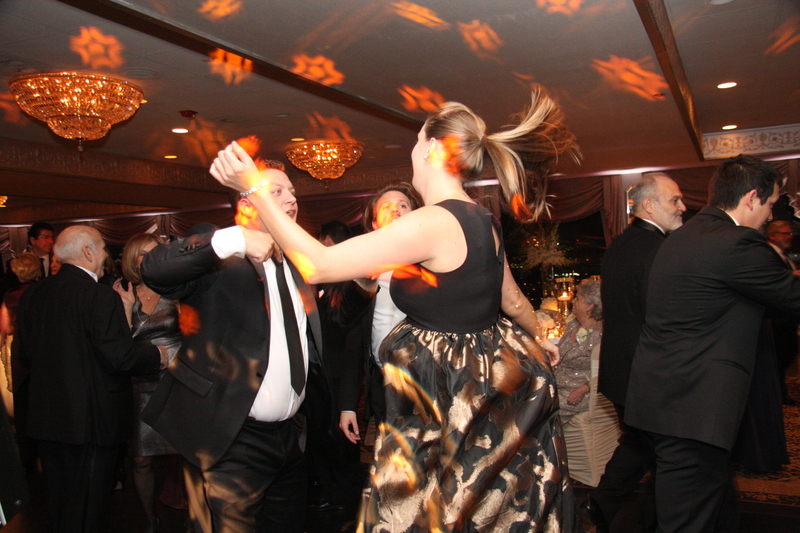 …and finished with Alex and her father dancing an energetic Polka. 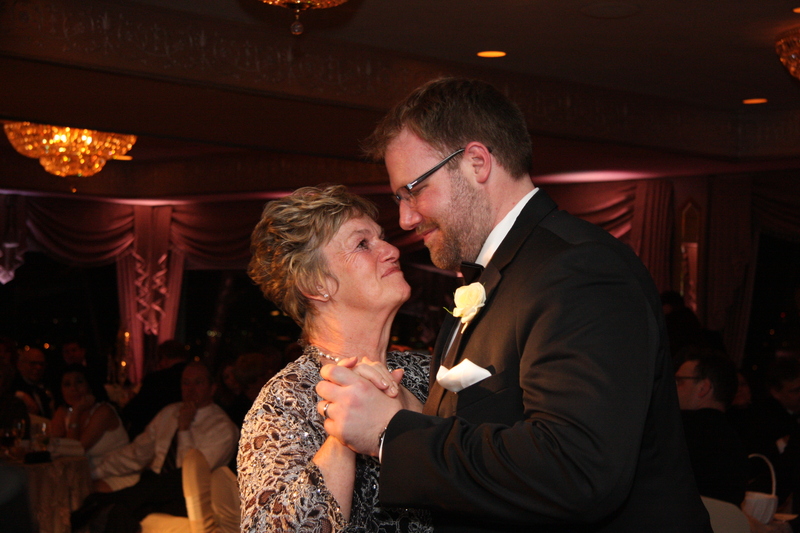 Nick and his mother, Sue, did a heartfelt dance to Celine Dion’s “Because You Loved Me”, smiling the whole time. A beautiful moment between Nick and his mom, Sue. The dance floor was busy all night while guests cut a rug and got footloose, all set against the backdrop of the sparkling Pittsburgh skyline. 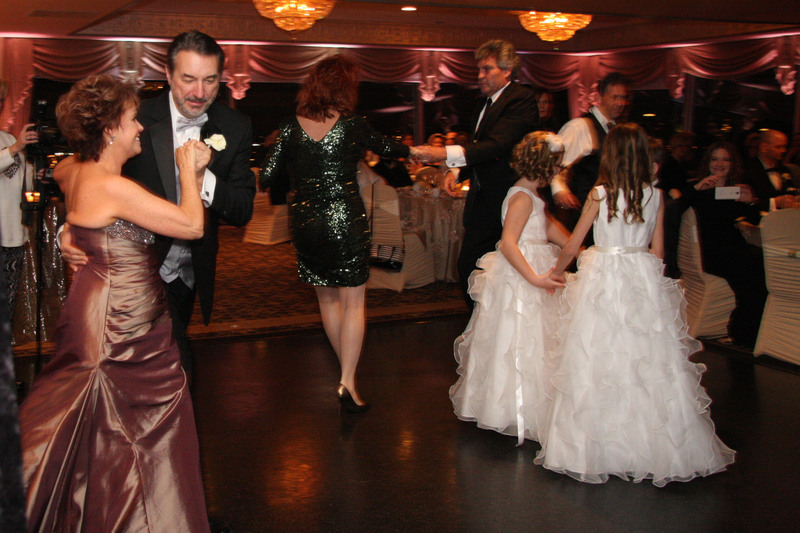 Alex’s parents, Debra and Ryan, dancing the night away! All of the guests were talented dancers! 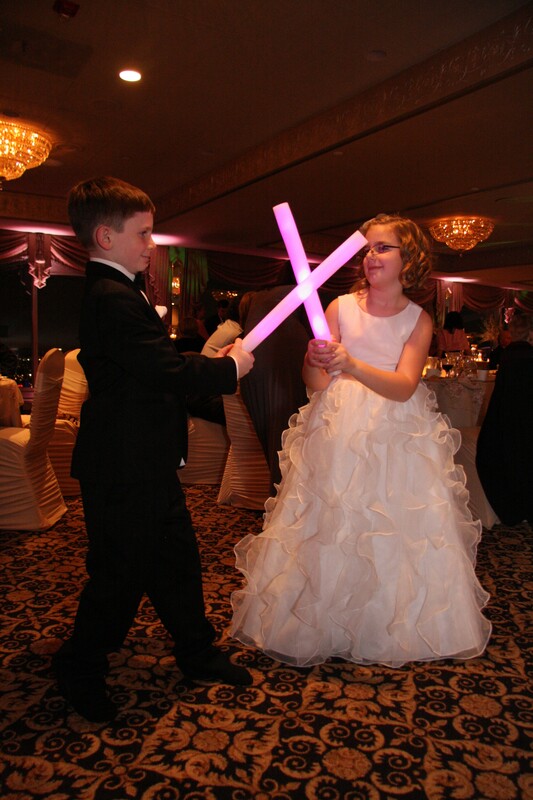 One of the most memorable dance floor moments was when Bella and one of the young ring bearers began a “lightsaber” duel worthy of two Jedi Masters with the light-up batons provided by Kelli. It is easy to get caught up in the excitement and chaos that come with planning your wedding. 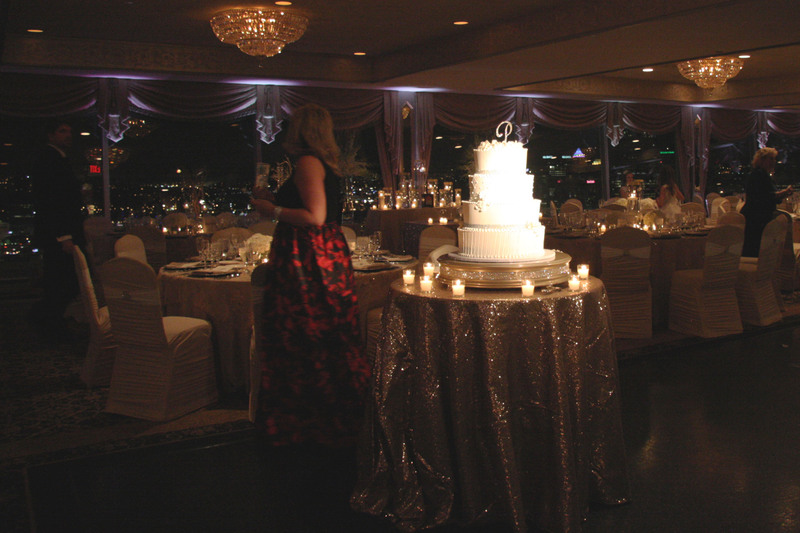 As bride Brandi realized in preparing for her very personalized wedding at The Corinthian, time can get away from you. 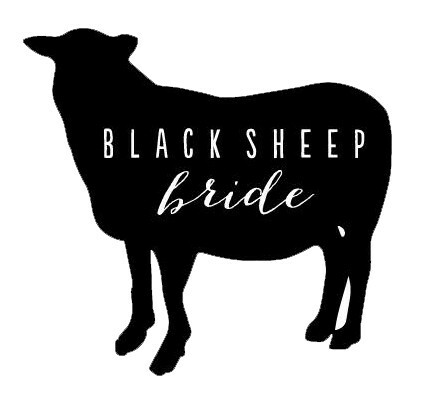 “You can plan and prep like crazy like I did for two years and still those last few weeks will be nuts.” However, through all of the decision making it is important to remember one thing: make your wedding YOUR wedding! Coming up with a fitting theme or simply adding in small details that are personal to you and your fiancee is a great way to make your wedding day memorable. Brandi kept this in mind as she and her husband planned their wedding and believes that it is a big reason their day was so special. 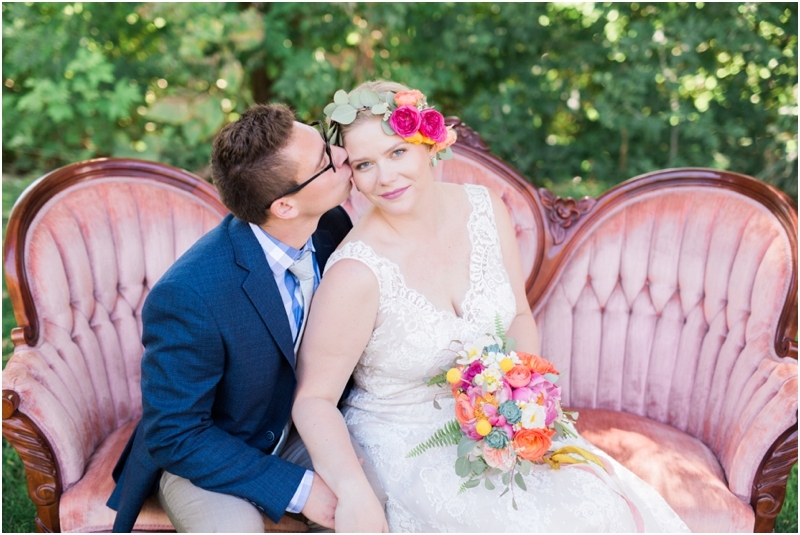 Brandi personalized her wedding, tailoring the menu cards, seating charts, invitations, gift bags, table numbers, and cake toppers all to fit her and her husband Colin’s personalities. 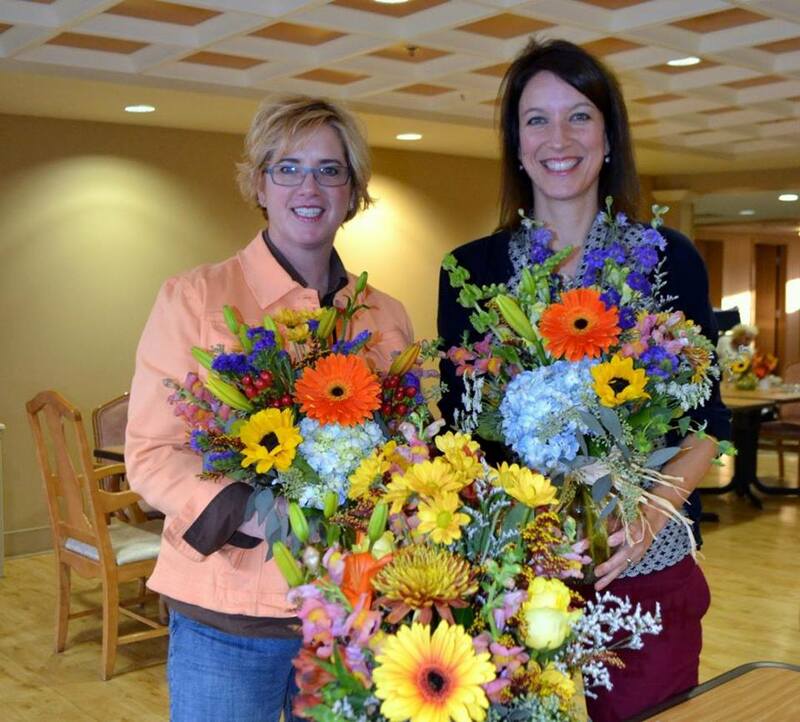 She created centerpieces using empty bottles of wine that she and her friends had shared over the years. 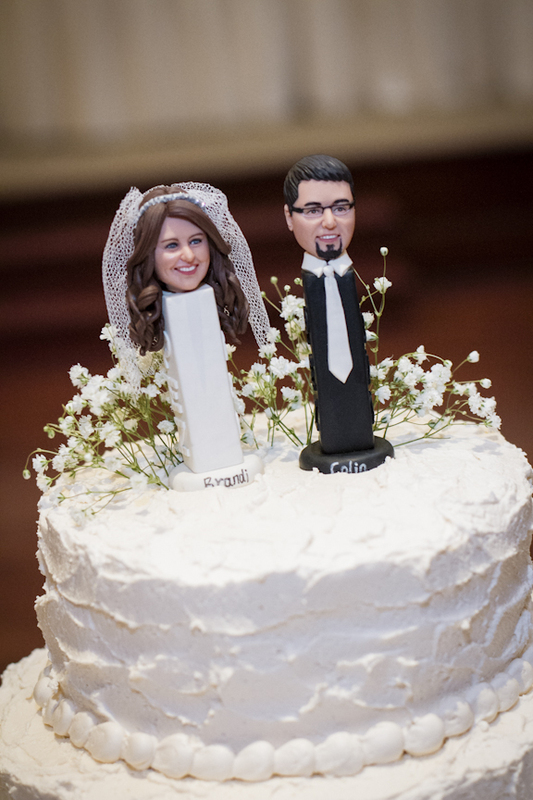 To incorporate Colin, she topped the cake with bride and groom Pez dispensers, which she said Colin has collected all his life. She also thought of Colin’s collection of vinyl records while trying to figure out how to personalize the wedding. 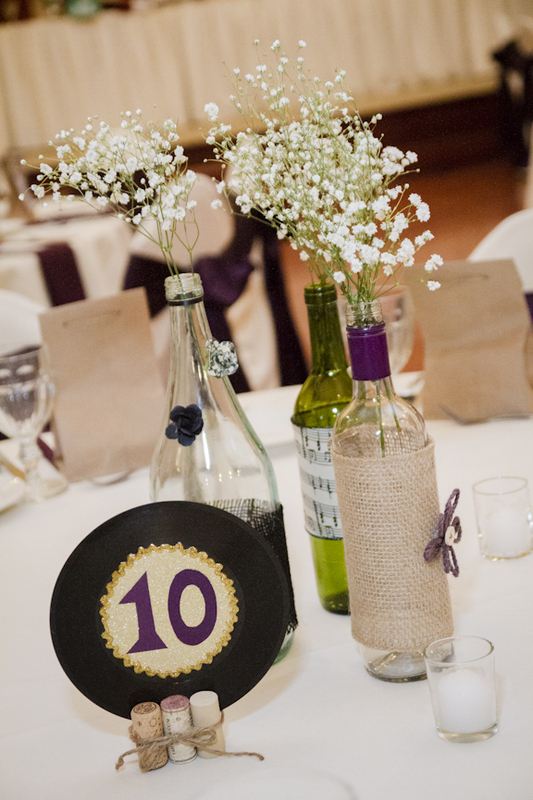 Brandi raved about the benefits of these DIY, or “do it yourself,” projects, saying they involve time and effort but the personal touch they put on a wedding and the money they save are well worth it. 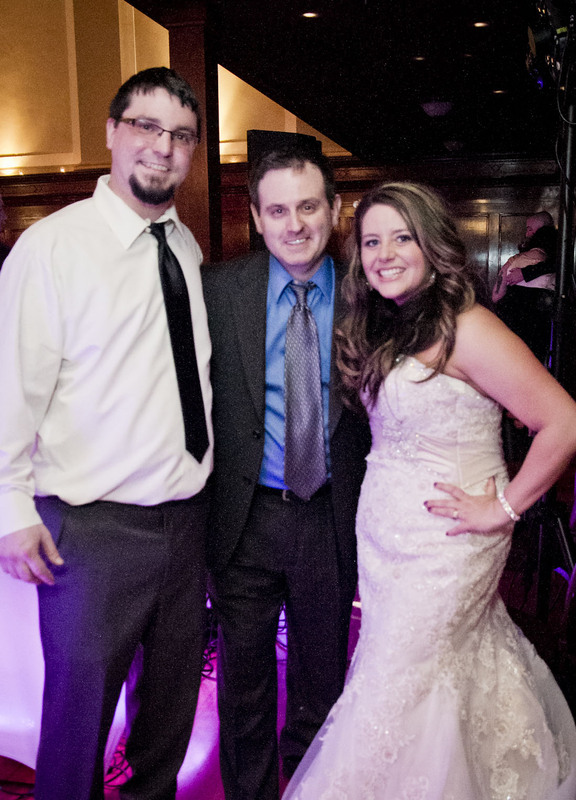 She also raved about her DJ Jeremy Czarniak and wedding photographer Shannon Kenyon. Brandi loved that Jeremy kept everyone on the floor at the reception with fun dancing songs and a Grease sing-a-long that everyone loved and, over all, exceeded her and Colin’s expectations.